The old classic dice game or the game of craps is now available in the exclusive live craps/dice version. The craps game is a widespread casino game where excitement goes really high, because of the fact that there can be more than twenty players and four staff assistants around the craps table at the same time. The origins of the game of craps, refer back to the Crusades. The craps game is a simplification of the English game “hazard”. The former version of the game is known as crapaud which is a French word that means ‘toad’ referring to the early street style crap game where people crouched on the floor in order to play it. John H. Winn got the title of the “Father of Modern-day Craps” in 1907 because of the fact that he introduced the Don’t Pass bets area on the table which significantly improved the gaming layout and still remains that way even in our days. We proudly present the cool new live craps/dice game on some of the best online live casinos. Following the links below, you can join instantly the live craps area where all the fun begins. Prepare yourself and get ready to claim big prizes from the rolling dice pair. For the actual play in the craps game, the player must first get familiarized with the table. At the center of the table and closest to the pit, the “box man” is the one who manages all the cash transactions and supervises the game. At the opposite direction, there is the “stick man” who uses a stick in order to push around the dice and he also calls out the rolls result. Somewhere close to the “stick man” there are two dealers that manage the betting process and pay out the winner’s money. For the table, there is a Pass line located around the table resembling to bettors who bet on the shooter’s side. There is also a Don’t Pass line which resembles to players that bet against the shooter. There is an area between the “stick man” and the “box man” that offers one-roll or proposition bets. While being a player, there is also an area in front of you which is called “Field”. This area is for betting on the fact that the next number will be a 2, 3, 4, 10, 11, or 12. There are corners at the table on either side that state Big 6 and Big 8 accordingly. These state that a 6 or an 8 will be a result before a 7 comes out. A round at the craps game goes as follows. The shooter must place a bet on the pass (don’t) line. The shooter rolls the dice and the first turn is called the come out roll. If the outcome of the first roll is a 7 or an 11, then players that have bet on the pass line, win the even amount of their bet, while the players that have bet in the don’t pass line lose their bet. If the outcome is a 2, 3 or 12, then it is the opposite procedure. The don’t pass bets win and the pass bets lose. At the case of any other first roll number come out, the specific number becomes the point. 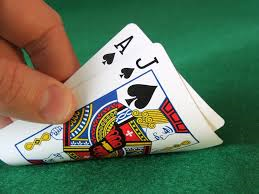 In the case of the point is a 4, 5, 6, 8, 9 or 10, all bets that have been placed in the pass (don’t) line remain there. There is a button which indicates ON placed in the point number now. Assuming that the point is a 5, the shooter tries to make out a roll of a 5 before he rolls out a 7. At the case of a 5 roll, everybody passes. In the case that he succeeds to hit his point, the shooter starts all over again with a new come out roll followed by a new bet on the pass (don’t) line. A 7 roll at any other circumstance other than a come out roll, indicates a fail for everyone and the dice are going to the next player. There are several different ways in order to win real money in craps. The most common way of betting is the pass bet. It comes with a 1,41% house edge which is quite low and pays back even money for your bet, meaning that a 20£ bet will pay out 20£. In the pass bet, you win when the dice roll out is a 7 or an 11. You lose if it comes out to be a 2, 3 or 12. The next type of bet, which has an even lower house edge of 1,36%, is the don’t pass bet. It is like an opposite one from the pass bet. Here, if the dice roll 2 or 3 you win. If it rolls 7 or 11 you lose and in the case of 12 there is a push. You can maximize your winnings with an odd bet. In this case, you bet that it will be a point thrown before a 7 comes out. Odd bets on points of 4 and 10 pay out 2 to 1, on points of 5 and 9 pay out 3 to 2 and for 6 and 8 they pay out 6 to 5. The live craps/dice feature, is without any doubt one of the most difficult platforms to setup online. Still you have nothing to worry about, during the fact that the top software developers of the market offer their latest technology in order to stimulate this great game in a live casino version. High quality image and sound will guide you through this marvelous live dice experience. Many online slots and casino game developers are offering some kind Live Craps game, the most known of them are NetEnt, Microgaming, Playtech and Betsoft.